According to the Alzheimer’s Association, in the next 40 years as many as 16 million Americans could have Alzheimer’s or some other form of dementia. The association also reports that there is a record number of people with early onset Alzheimer’s, characterized by symptoms showing up before the age of 65. 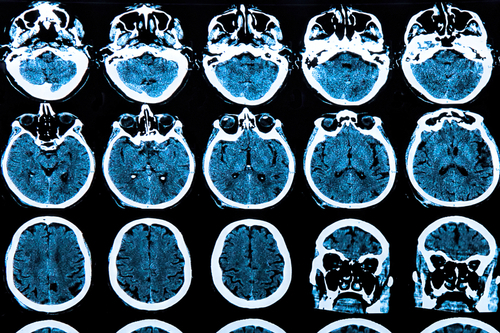 With numbers like these, there is a growing concern among young and older Americans alike about what can be done to help maintain good brain health. Unfortunately it’s not uncommon for patients in their 30s and 40s to notice that their brain function isn’t as proficient as it used to be. One patient in particular, who was in her 40s, who reported that she felt like she was walking around in a fog. She would forget things here and there and not accomplish as much as she wanted to or used to. The final straw for her was that she couldn’t recall many details from her family’s vacation just one year ago. I took her full medical history, ran some tests, and found she had more than just memory issues going. It took some detective work, but we found that her symptoms were related to her exposure to toxic mold. It is absolutely disturbing to see what mold toxins can do to people’s brains. Based on her exposure levels that were determined through lab testing, it’s no wonder she had such troublesome neurological symptoms. The good news is that it is possible for her recover completely! "There are many hidden toxins in our homes that can affect our whole health, including brain and memory." When doing a workup on patients that complain of memory problems, I commonly find that environmental issues contribute. There are many hidden toxins in our homes, food, water, and personal care products that can affect our whole health, including brain and memory. Also, be aware of your toxic load. That means not just what you are putting into your body (by consuming or inhaling) but on your body as well. The lotion, perfume, cosmetics, and sunscreen you use could be having a negative effect on your health. For example, parabens are one of the main preservatives used in many personal care products, and some studies have found that they mimic natural hormones, which can cause disruption in the reproductive systems of both men and women. After seeing a few patients who complained of memory issues and reading the recent research discovering infections in the brain, I’ve surmised that sometimes the underlying cause in memory and cognitive dysfunction is a low-grade fungal or viral infection in the brain. And if your toxic load is too high, your immune system may not be able to fight it off. Scarring of the brain from these infections, or even normal amyloid deposits that are not cleaned out by the glymphatic system and other repair mechanisms, can then cause the brain to function poorly. Often, other health problems may accompany memory issues, such as diabetes, arthritis, IBS, or autoimmune disorders. The good news is that beefing up the "cleaning and repair" mechanism in the brain with the appropriate nutrients from supplements and foods and detoxifying a patient’s entire system can restore good brain function and relieve associated health issues in many cases. I recommend you see a functional medicine healthcare practitioner to get an individualized plan on what you should be eating (or not eating) and which supplements you should be taking to help detoxify and rebuild as well as to maintain good health. Researchers used two types of meditation: mindful and compassion. Mindful meditation is where one focuses on the breath and being aware or in the moment. Compassion meditation is where one focuses on holding compassion or love for themselves and/or for others. One of my favorite methods of meditating also incorporates neurofeedback. I often use and recommend the Muse headband for meditation. It’s a biofeedback system that helps you get the most out of your meditation. It lets you know how calm you are by sound and reports how calm you are based on your results. It’s a great tool for those new to meditation or for those who want to increase the effects of meditating. It is important to know that even if you think you are not meditating well, you are still making a significant impact on your health. So don’t judge how well you are doing! Body Movement: Dancing, tai chi, yoga, and other forms of body movement are extremely helpful for keeping your brain healthy. Some people take this to mean they must physically exert themselves to the point of exhaustion and run a marathon. That is not the case. A study by the Department of Exercise Science at the University of Georgia found that even just 20 minutes of brief exercise facilitates information processing and memory functions. Exercise stimulates neuroplasticity by stimulating growth of new connections between cells throughout the brain. Sleep: In the journal Science, a study showed that during sleep brain cells shrink to open up the gaps between neurons and allow fluid to wash the brain clean. So, when you are sleeping, your brain is cleaning itself. You should aim for 8-9 hours of restful or undisturbed sleep daily. Those who work jobs that require them to be up for more than 24 hours at a time may require even more sleep on their off days. Lifelong Learning: When you repeatedly practice an activity or access a memory, your neural networks shape themselves according to that activity or memory. When you stop practicing new things, the brain will eventually e l i m i n a t e connecting cells that formed the pathways. Like in a system of freeways connecting various cities, the more cars going to a certain destination, the wider the road that carries them needs to be. The fewer cars traveling that way, however, the fewer lanes are needed. Most people discontinue learning new things when they get into their 40s and beyond. The fact is that you need to keep your brain active. Strategic games such as bridge and chess are great for that. And so is learning something new. Consider taking up a new language or learn to play an instrument. Lastly, it should be noted that your social interaction is also a key factor in brain health. You have to do more than just be on social media. You have to actually get out there and make connections with people in the real world. Those who are more socially connected tend to have higher vagal tone. Your vagus nerve is a cranial nerve responsible for putting you in “rest and digest” mode instead of “fight or flight” mode. Studies suggest that those with high vagal tone have better long-term physical and emotional health than those with low vagal tone. Also, people that are connected to others tend to live longer. A Brigham Young University study found not only do people who have strong social relationships increase their odds of survival by 50 percent, but conversely, loneliness can compromise immune system and possibly shorten life expectancy. The message is clear; if you want to live longer and healthier with your memories intact, prioritize your friendships. According to the Alzheimer’s Association, every 67 seconds someone in the United States develops the Alzheimer’s Disease. It is the 6th leading cause of death in the U.S. killing more than breast and prostate cancer. Memory loss can be scary and is something to pay attention to. Cognition, including learning and memory, is dependent upon neurons in the human brain communicating with each other through synaptic connections. Age, genetics, diet, exercise and environment can all affect how efficiently neurons communicate. We have 3 supplements we would like to highlight that support brain function. Cogniquil is a supplement that contains a targeted blend of key ingredients designed to promote mental and physical energy and fuel motivation and clarity without overstimulation. BrainSustain and BrainSustain for Kids is designed to support brain health and healthy recall ability, provide nutrients that support antioxidant mechanisms and supply protein and amino acids for neurotransmitter production. MemorAll helps support normal, healthy cognitive function and may support the health of brain tissue.